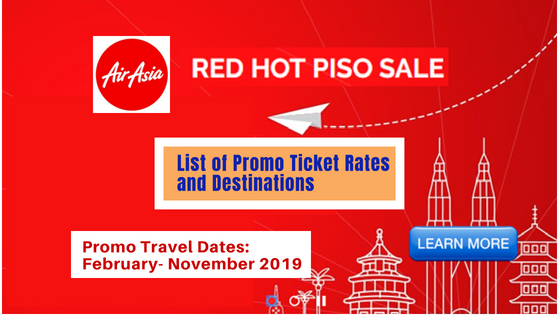 Here are updates for the Air Asia red hot piso sale 2019! Although the promo flights can be used for trips from February 18 to November 26, 2019, sale ticket are not available during embargo periods. Booking for the Air Asia red hot sale is ongoing until September 9, 2018. 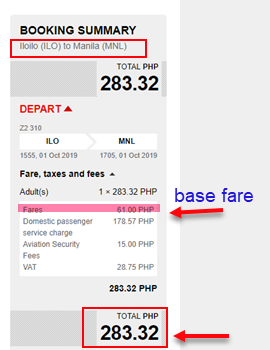 Updates: Air Asia red hot piso sale extended until September 11, 2018! Availment of the Air Asia red hot piso sale tickets is on a First Come, First Serve basis due to limited slots of seats on piso sale. Advanced booking is required to avail the low fares. Book your ticket now! Air Asia promo fares are limited and are only available thru online booking at Air Asia website: www.airasia.com or by calling the airline hotline at phone # (02) 722 2742 from 7AM-11PM. Good for one-way trip, the Air Asia promo ticket cover the fare, Aviation Security Fee, VAT, Domestic Passenger Service Charge. Hand carried bag up to 7 kilos also included in the ticket but no checked baggage allowance. 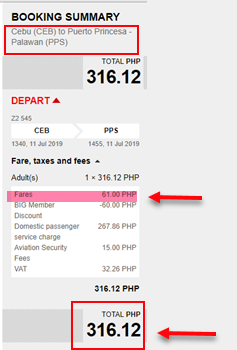 Air Asia international promo ticket does not include P1,620 Philippine Travel Tax and international passenger airport taxes (except for flight originating from Manila). Passengers traveling to international routes are required to provide the necessary travel documents as required by the destination country. 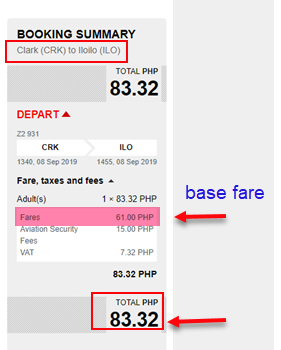 Prepaid checked baggage may be booked during booking or up to 4 hours before flight departure thru “My Booking” tab of Air Asia website or by calling the airline hotline number mentioned above. 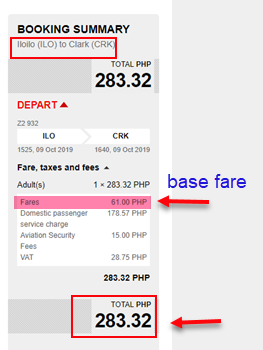 For updates on Air Asia red hot sale, Cebu Pacific Air piso fare, Philippine Airlines promos and travel tips, LIKE our Facebook: PISO FARE TICKET!